Not understanding the five elements that make up your FICO® score could have a tremendous negative impact on getting approved for credit. For example, if you are 30 days late within the first two years of having an account, this could bring your credit score down by 30 points. In return, you could get denied for a home loan based on that single 30-days-late indication. 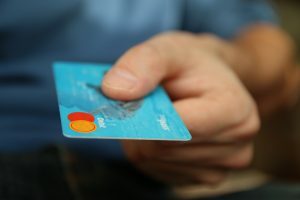 In today’s society, your credit score is used whenever you apply for credit, so it’s important that you understand how to raise it and maintain it. Monitoring the five areas of your credit score will let you know which areas need improvement. Once you achieve the score you are aiming for, you must maintain it through education and discipline. A FICO® score is a three-digit number that is built from the information contained in your credit report. It summarizes information like your negative accounts, payment history, the amount of debt you carry, the length of your credit history, the amount of new credit you applied for, and the type of trade lines you have in your report. How do I start a score? To get a score, you need one trade line on your file for six months, and that account must have been updated in the past six months. You can accomplish this by simply opening up a secured credit card account. Please contact Perfect Credit Consulting on selecting a secured card. Most secured card issuers “hard check” your credit and many do not report your payment history to all three credit bureaus and many have HIGH FEES! A “good” FICO® score can vary lender to lender. However, FICO® considers the chart below to be a general indicator of score strength. Please remember, the higher the score, you demonstrate a lower credit risk to lenders. Where can I find my score? There are literally hundreds of scores. Most consumers find their scores from online companies. Others receive their scores from their credit card issues or when they are denied credit. Please contact the experts at Perfect Credit Consulting for advice on how to “soft pull” the proper credit report and credit score for your needs. Allow us to help you establish robust credit. © Copyright 2019 Perfect Credit Consulting, LLC. All Rights Reserved.